After evaluating new police stations associated with the Proposition Q program, a site adaptation of the Olympic Police Station—designed by Gruen Associates—was selected by LAPD as the proposed model for the new Northeast Police Station. The precedent station plan resolved the challenges of Northeast’s compact site and an equally compact schedule and budget. The state-of-the-art new facility was a response to the need for a long overdue, functional, inviting, economical, yet safe police station for the neighboring community. Northeast’s public entry is located near the visually-prominent street corner at San Fernando Road. 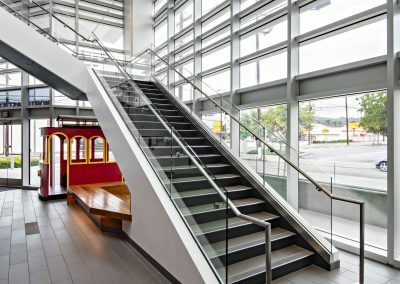 A large, welcoming “urban porch” is created through an exposed two-story transparent wall of glass combined with lobby lighting emphasizing the entry as a beacon at night for an added sense of security. 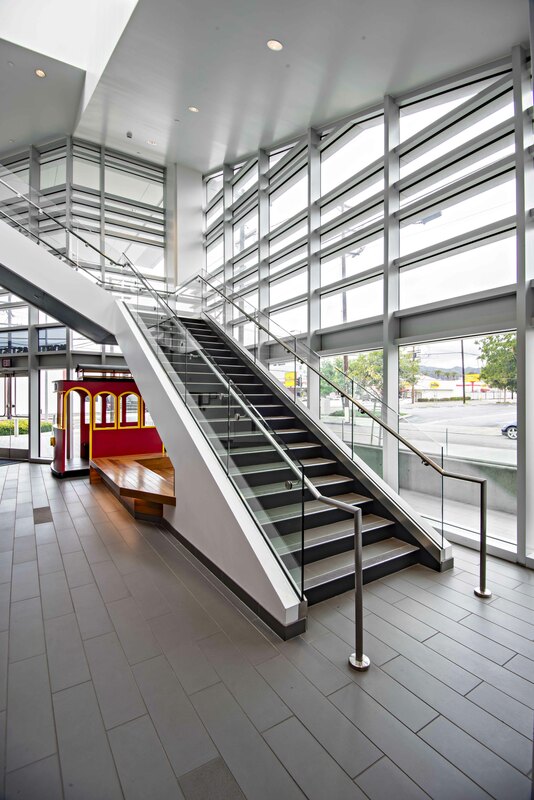 Circulation elements blended with a grand staircase and bench seating continue open, welcoming gestures from the public, landscaped sidewalk into the station.